Don't just use TypeScript. Know it. Our gift to you - 3hrs of premium content for free! TypeScript ProTake your TypeScript expertise to the next level. James loves empowering other developers to do their best work. 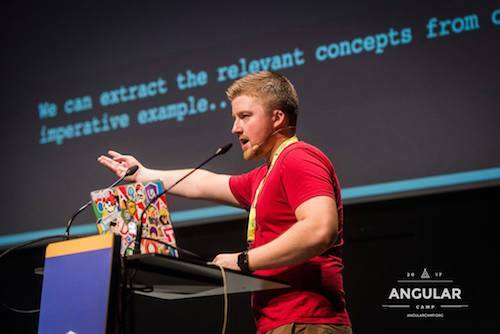 He does this through building tools (he is a member of the ESLint, Babel and Prettier teams and a TypeScript evangelist) and through speaking and training across Europe. Microsoft awarded James the title of Most Valuable Professional (MVP) for his contributions to the TypeScript ecosystem and community. Most recently James has begun working with the team at Nrwl to provide best in class Angular consulting to the largest enterprises on the planet.